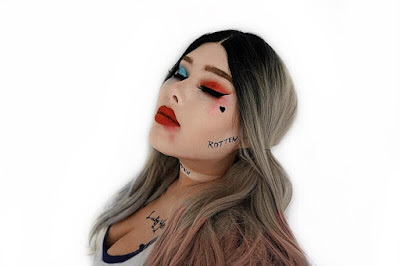 I am SO ready for Halloween, but if your not here are my five looks that hopefully will give you major makeup inspo for the best holiday of the year. 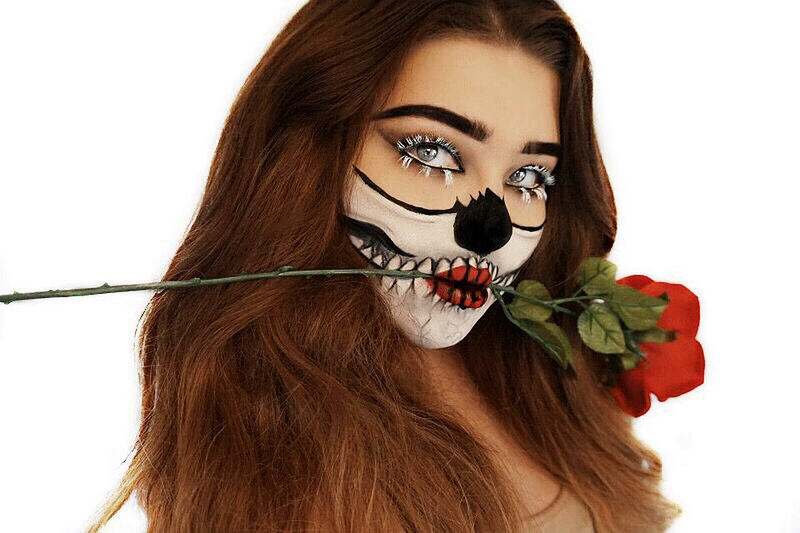 This year I wanted to combine all of our traditional #Halloweek series into one post so this can be a one stop shop for some Halloween inspo. Hope you guys enjoy and if you recreate any of these looks be sure to tag #Halloweek and @officialsavvyj on Instagram so we can re post you! Shes spicy, shes glam, shes Senorita death. Inspired by Los Dias De Los Muertos or The Day Of The Dead. The spicy red lip keeps things glam yet still Halloween-ish with the half face skull. 2016's bad girl takes a glittery twist. Of course I needed to re create the most popular character of the year and put my own twist on her. 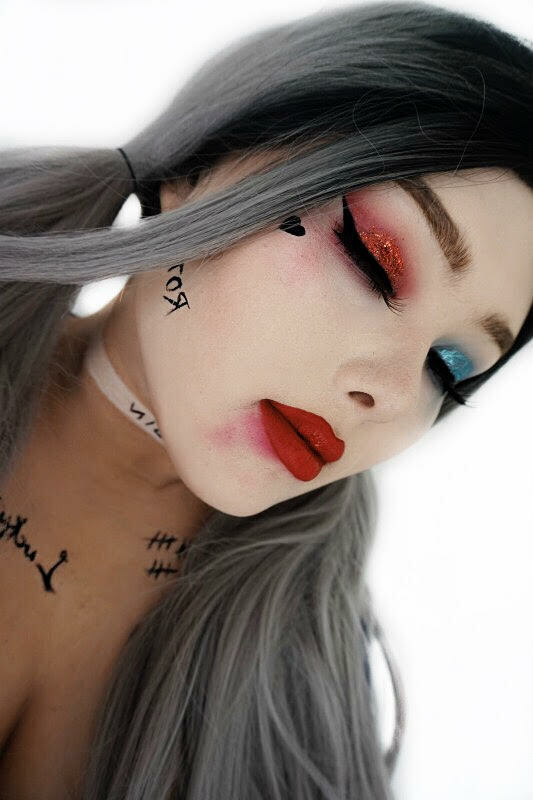 I was obsessed with the idea of taking the typical Harley smeared out glam and making it a little more controlled and a whole lot more glittery. Kat von d beauty Liner in trooper + Skone cosmetics liquid pen liner for the liner and the "Tattoos"
Gerard cosmetics lipstick in "fire engine"
Elf cosmetics Instant Lift Brow Pencil in "taupe"
Inspired by the rich gold and bronze looks of an Egyptian goddess, came this look. 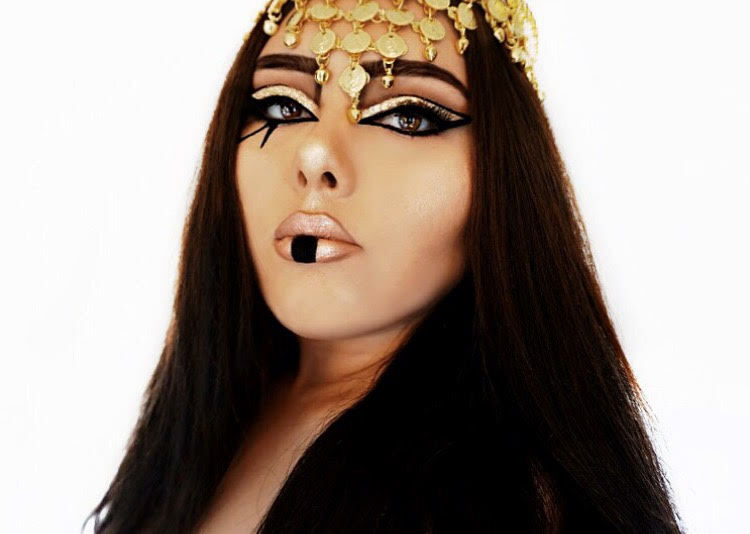 I wanted to do a look that was fit for a golden goddess, with very exaggerated eyes and brows. Adding in the small details with black face paint really brought Miss Cleo to life. 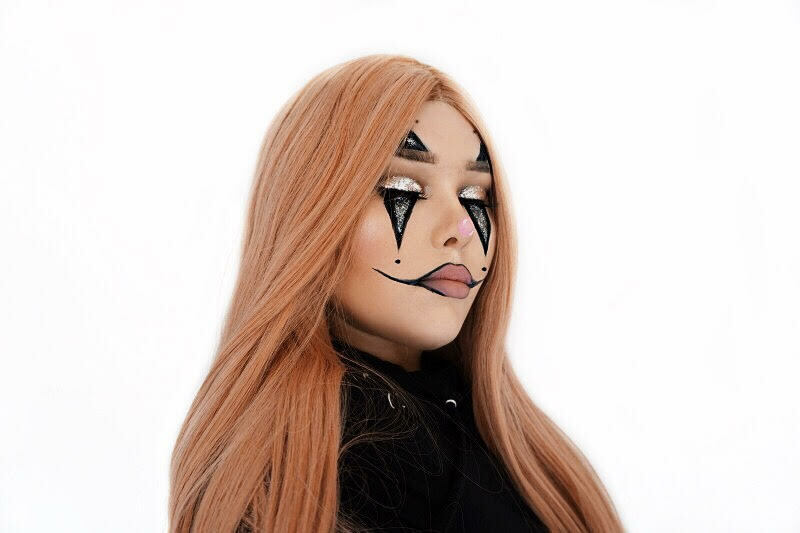 Eye Kandy cosmetics Glitter "Hocus Pocus"
Jeffree Star cosmetics Skin Frost in "King Tut"
Elf cosmetics eyebrow kit in "dark" & Flawless Foundation in "Carmel"
How could I skip doing a clown look, in a year where clowns are so heavily talked about? 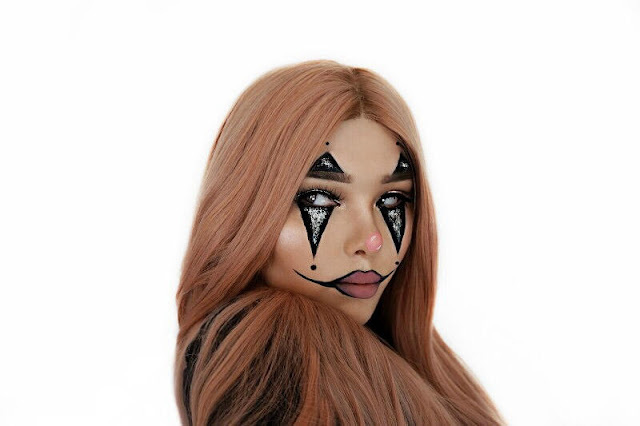 Now not going to lie I'm not afraid of nearly anything Halloween-ish but I have to say clowns have been pretty terrifying to me this year...all the more reason to turn myself into queen of the clowns, right? This look was one of my favs and although normal clowns are sketchy, this one is super glam with the cotton candy hair and the glitter points. That's It everyone!! 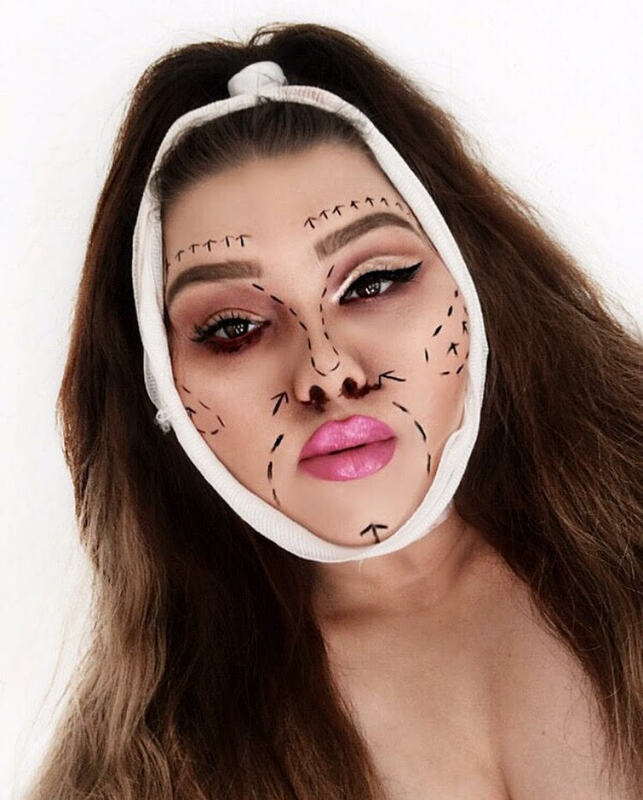 I hope you enjoyed this years Halloween looks, and I hope I could give you a little inspo. Let me know what you are being in the comments & have a Happy Halloween everyone!